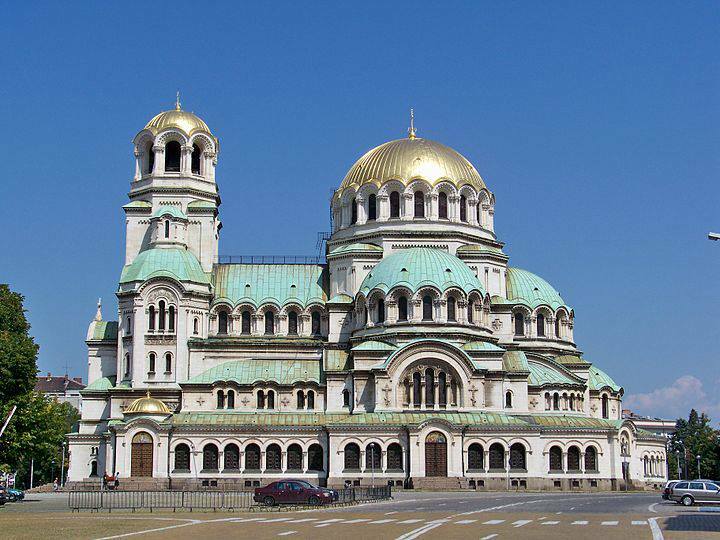 SOFIA — His enthronement as patriarch of Bulgaria, spiritual leader of millions of Orthodox believers here, was supposed to stir pride and moral togetherness in an impoverished country confronting a vacuum in political leadership and widespread economic pain. Instead, the installation of His Holiness Neofit last month, in a ceremony replete with byzantine splendor, served as one more reminder that Bulgaria had never really thrown off the inheritance of 40 years of rigid Communist rule and all the duplicitous dealings that went with it. Bulgaria has suffered fresh turmoil since mid-February, when nationwide protests erupted over a rise in power prices. The national government resigned in what it said was a bid to avert more bloodshed. But this week, the country went into nationwide mourning over the death of one protester, Plamen Goranov, 36, who set himself on fire in front of a public building in his hometown, Varna. The church has played no part in calming its troubled nation. Like 11 of the 14 metropolitan bishops who make up the ruling synod of the Bulgarian Orthodox Church, Neofit was revealed to have a file documenting or implying cooperation with the powerful secret police under Communism. Proof of collaboration — for which the church has never apologized — was expected, but the number of bishops implicated when a state commission opened the files on church leaders in January 2012 “was beyond all expectations,” noted Momchil Metodiev, a historian who has researched the church in the Communist era. By comparison with the 30-volume record involving Simeon, the Bulgarian Church’s current metropolitan for Western Europe, Neofit’s 16-page file was slender. While the file contained only a proposal by the authorities to recruit him as an agent and a negative assessment of his suitability for State Security work, the revelations raised tantalizing questions about whether more incriminating documents had been removed. That such questions linger, more than 20 years after Communism, illustrates Bulgarians’ messy relationship to that past. One day after the Berlin Wall fell in November 1989, the Communist dictator Todor Zhivkov, who had been in power since 1954, was deposed, not by popular uprising but in a palace coup. The politics behind the act remained murky, meaning that his removal is still a matter of dispute. Few Bulgarians can say the word “democracy” without irony or bitterness, because while they gained freedom and their country has now joined the North Atlantic Treaty Organization and the European Union, it has remained poor and underdeveloped, with the riches most dreamed of under capitalism reserved for the lucky, often criminally connected, few. And although State Security officially disbanded, its officials have retained a hold, contributing to the lack of clarity or debate about the past. Many former agents went into private business and recruited wrestlers for muscle. Their networks, often criminal, gradually took over much of Bulgaria’s legitimate economy, helping to make Bulgaria notoriously corrupt, said Philip Gounev, a corruption expert at the Center for the Study of Democracy in Sofia. Similarly, the church has not faced up to its past. “Just as people say that our country is in ‘state capture’ by criminals and oligarchs who have taken control of the state, the church is in a state of ‘state capture’ by metropolitans associated with the state security police,” Mr. Gounev said. The church counters that it is, for instance, planning to canonize martyrs from the Communist era over the next two years, making saints of those found to have died or been imprisoned for the faith among the thousands of believers who were persecuted. “We can expect to close the page of our Communist heritage by this very symbolic act,” said Desislava Panayotova, from the cultural department of the Holy Synod. But it seems that it will take more than canonizations to restore the church’s position as a moral beacon in an increasingly secular society. After the state, the church is the second-largest landowner in the country, making it an attractive target for criminal groups. With its weak management and opaque institutions — the church does not, for instance, have a designated media spokesperson — observers say the church has remained aloof from any state efforts to clean up corruption. While many historic churches and monasteries crumble from neglect, the Bulgarian news media relay a stream of shocking stories about church officials’ luxury cars, expensive watches, shady land deals and ties to questionable businessmen. The Stara Zagora metropolitan, Galaktion, a close rival to Neofit in the recent patriarchal election, bestowed an honorific church title on a wealthy sponsor, Slavi Binev, a former taekwando champion and owner of a security firm who is now also a member of the European Parliament. Mr. Binev was described in a 2005 WikiLeaks cable from the U.S. Embassy in Sofia as heading a group whose “criminal activities include prostitution, narcotics, and trafficking stolen automobiles.” In response, Mr. Binev told a Bulgarian newspaper that he was not perturbed to be on a list of people who were “the blossom” of Bulgarian business in the transition from Communism. The metropolitan of Plovdiv, Nikolai, bestowed the same church title on Petar Mandzhukov, an international arms dealer, and later announced that he planned to sell his Rolex watch to pay the unpaid electricity bill for a church in his diocese, apparently hoping to quell public anger both at church riches and at the rising price of electricity that helped spark the recent protests. The church has also been accused of paying priests in cash to avoid social welfare payments and taxes. One huge challenge is healing the post-Communist schism of 1992, when priests who said they had opposed Communism formed their own synod. Ugly disputes over church properties resulted, including physical fights. The police were called in during one particularly fierce battle over the church candle factory, a major source of income. Mr. Metodiev, the historian, who describes himself as “anti-Communist,” made a surprising discovery during research in the secret police files. “The leaders of the schismatic synod were in fact the closest allies of the Communist Party in the synod during the Communist period,” he said. One bishop notorious for implementing State Security orders — Kalinik, the metropolitan of Vratsa — remains on the church synod today. Mr. Metodiev asserts that those with ties to State Security, particularly those recruited as young informers in the 1970s and 1980s, are now powerful, making the synod in fact more staffed by secret police than any other, including during Communism itself.